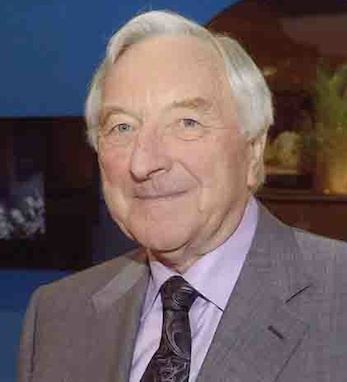 Martin Naughton is the founder and chairman of the Glen Dimplex Group. He started the company in 1973 as Glen Electric, with a mere ten employees. He later acquired Dimplex, the leading brand in the UK heating market. The Glen Dimplex Group is now the world’s largest manufacturer of domestic heating appliances. In recognition of Naughton’s longtime support of the University of Notre Dame, in both a civic and philanthropic manner, in 2006 the university paid him a high honor by renaming their Institute for Irish Studies the Keough-Naughton Institute (Donald Keough, another of our Business 100, was the original benefactor of the Institute). Martin has served on Notre Dame’s Board of Directors since 1991. He co-founded the university’s Ireland Council, and received an honorary doctor of science degree in 1998. He is ex-chairman of InterTradeIreland, a cross-border and business trade group, and has been extremely active in promoting peace in Ireland through economic ties. He resides in County Meath.